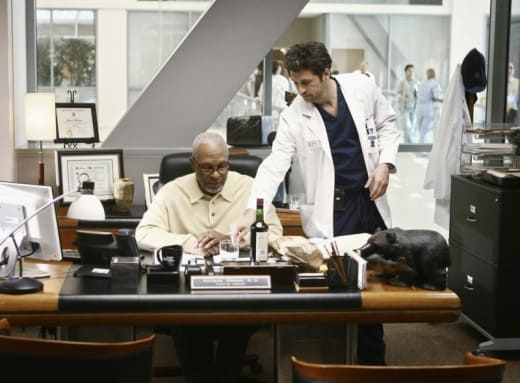 Welcome, Grey's Anatomy fans around the world, to the 194th consecutive edition of our Friday Grey's Anatomy Caption Contest, our fun tradition for nearly four years! This picture from last week's episode yielded many funny replies, as expected. Our winner is April_J. Congratulations! The winning entry appears beneath the picture. Honorable mentions go out to Joey and Greys-lover. Thanks to all for playing! Good luck next week! Derek: Try this Tahitian Noni, works wonders every time.